Phil & Teds are releasing a brand new buggy so get set for the Explorer to be unleashed into the Australian wild. 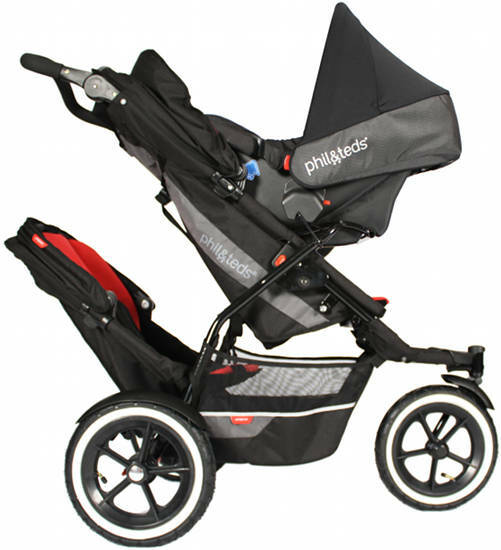 The Phil and Teds Explorer takes multifunctional to the extreme with seven modes for transporting babies and children! Use from newborn with the seat’s lie-flat mode, with or without the optional cocoon. You can choose the Peanut Bassinet ($179) and, for the first time, you have the option of a travel system – the Explorer supports some brands of baby capsules. 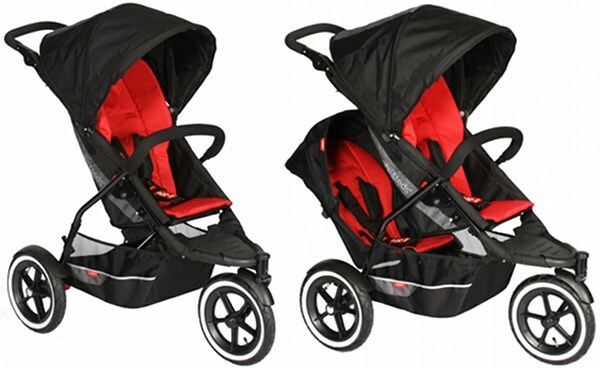 When baby grows into a toddler, simply use as a single pram and when baby brother or sister arrives, slip into doubles mode using the famous Phil and Teds doubles kit, which now has a sunhood. But there’s more! Phil and Teds have revolutionised the fold on this buggy and now you can indulge in a one-hand fold and one-hand seat recline. There are four colours of groovy seat liners to buy. The footwell is now covered by a hardy plastic cover as seen on the Dash model and the main seat’s sunhood has inbuilt pockets. The Explorer is also more friendly to your feet with a new pedal brake system easily engaged with a flick of your foot. Replacing the popular Phil and Teds Sport model, the Phil & Teds Explorer is set to become another legend of baby transportation. Is there nothing overlooked on this one? Colours available will be apple/charcoal, black/navy, black/black and black/red. Price will be $699 for the buggy and $119 for the doubles kit. Also available are the storm and sun covers for both single and double mode ($35 – $70), and a travel bag ($89). You can pre-order now from Minimee with free shipping for a limited time! Delivery will be early September. 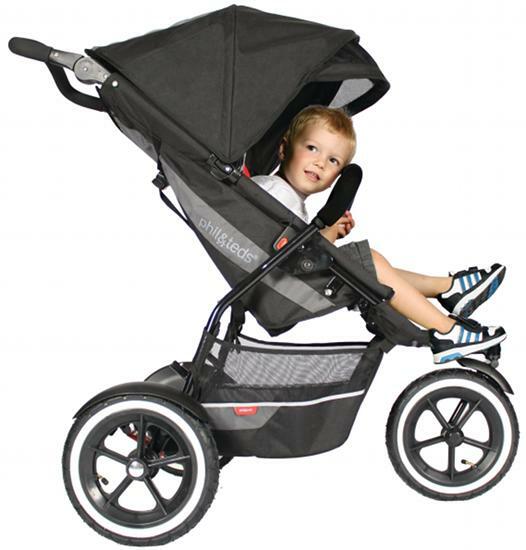 To compare this pram with others, please have a play with our very helpful Chooser – it will be on there soon.